Are you ready to call in your soulmate this year? Mantras are spoken declarations that can help you free up energy from the past by putting your attention and thoughts on the present moment. This is where the power is! 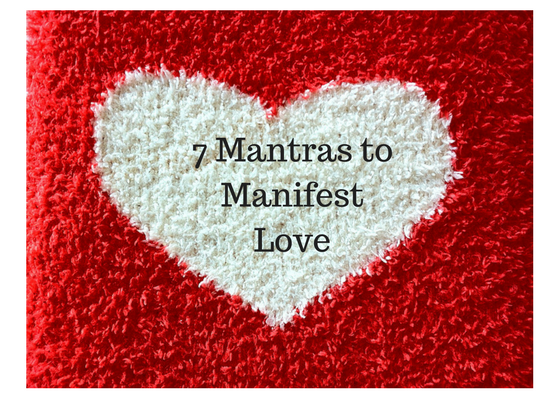 Here are 7 Love Mantras that you can use to prepare yourself to invite in that special someone this year. How to use the mantras: After getting in a grounded, calm state, you can say them aloud, write them down daily in your journal and even record it on your smartphone voice memo to play every morning. While working with your mantras the most important piece is to infuse them with your emotion and intent. This is what distinguishes a regular statement from a mantra that helps you manifest what you want! Pick one or use them all. Go with your intuition and remember to have fun! With practice, you will start to embody the vibration of each of the mantras and open to receive true love.